Submarine chasers SC 339, SC 68 and SC 70 in Tampa Bay. SC 339 served under the command of Ens. J.B. Scott, USNRF, in a chaser unit comprised of SC 68, SC 70 and SC 339, assigned to the USS Jouet Group and the USS Salem Group, with service in the Gulf of Mexico. Caption: "Submarine chasers St. Petersburg Feb. 23 1919. S. H. Kahn Artist." 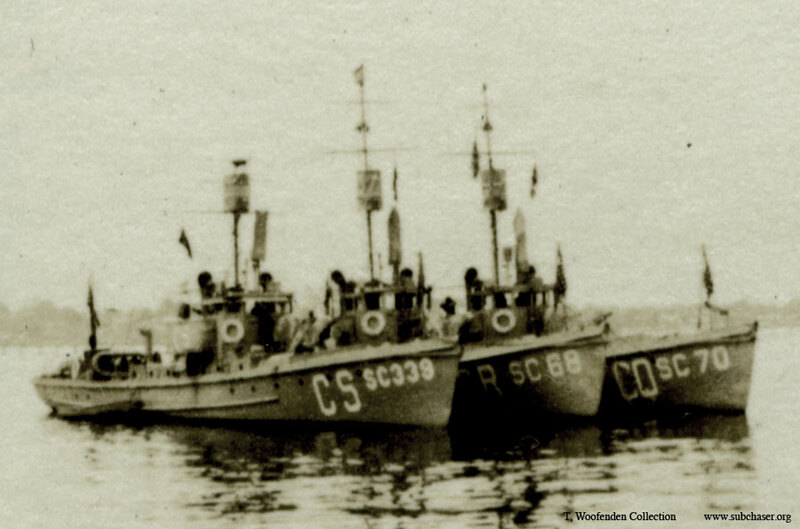 Photograph of submarine chasers SC 339, SC 68 and SC 70, taken by S.H. Kahn. T. Woofenden Collection.